Eyes on Keyes: Solar panels may become standard on new homes in South Miami. Solar panels may become standard on new homes in South Miami. 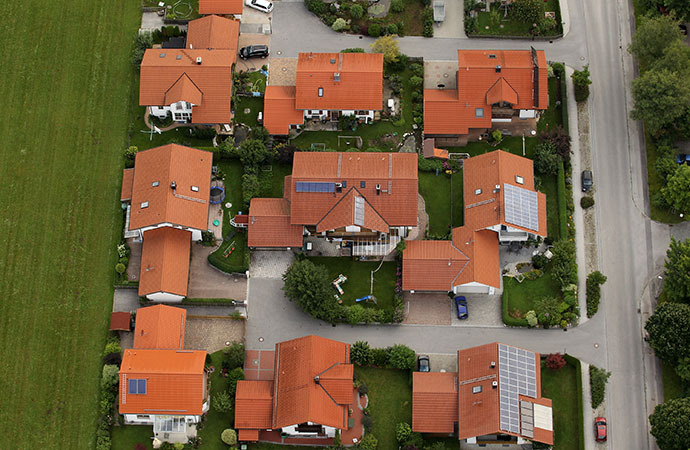 South Miami is set to become the first city in Florida to mandate solar panels on new homes. Similar to San Francisco, South Miami will become the first city in Florida to require new homes to install solar panels. San Francisco, Miami, and two other smaller California cities will be the only jurisdictions in the United States to have these renewable energy regulations. A final reading was set on July 18th, but prior to that there were enough votes for it to pass. South Florida mayor, Phillip K. Stoddard, is a long time advocate of renewable energy solutions and believes that passing this will help reduce carbon emissions. There is still opposition to this, as some believe that forcing homeowners to install the solar panels results in financial issues. South Miami Commissioner, Josh Liebman, believes that this will place financial burden in low-income neighborhoods and affect the development of affordable homes.